We woke up at 1 am by the shelling that shook the beds and the building, making us jump out of bed to make sure all was OK. We were reassured that there were no casualties, otherwise we would have to get to the O.R. (operating room). I forgot to bring the number of the supervisor to confirm that we are here to help. Going back to sleep was an effort as images of the young men and the cases we had seen kept hovering in front of my eyes. How can we help these young men who survived the bullet now survive their injuries? Suddenly the analogy came to mind, what Florence Nightingale did in the Crimea War, in the battlefield. She set about cleaning wounds and caring for the wounded. Our first day felt like being in a battle field. There are two makeshift ICUs (intensive care units) and two permeant ICUs full of young men with major injuries. Some of the young men were awake and staring at us, others unconscious and intubated with major head and neck injuries. Some are already paralyzed; others considered brain dead. We go about our rounds stunned by what we see, by what we smell and by the moans of pain we hear. Dr. Ali says no antibiotics will help these wounds if they are not attended to and changed. How do we help our colleagues, who look exhausted and stressed, to care for these young men? It’s the first day of Ramadan, there are no salaries and many have been on duty for the past three days. I am reassured with the thought that a team of nurses will arrive today from Augusta Victoria Hospital to help. Back in the operation room, the work continues. The vascular surgeon, working for the past 24 hours, is doing his best to save a limb. He is trying to provide these young men with a chance to walk on both feet again. We all set to work, gathering materials for cleaning, visiting all the surgical patients, changing dressings and changing antibiotics. One young man is awake and trying to chat with us between moans of pain. In a way, it was good that they were given pain killers because seeing the other injured patients would make it even more painful for them. I soon realize that all these young men were being prepared to be moved to other general units or other hospitals. They were prematurely discharged to make space and be ready for what Friday might bring. We met Z. as we walked into the ICU. Z is a 21-year-old man who looked more like 18. As pale as a sheet and semi-conscious, he had a bullet injury to his right thigh which had injured his femoral artery. He was having his wound dressed and was being sedated. He was bleeding, had low hemoglobin and was in shock. In front of our eyes he was gasping for life. We went to work and resuscitated him. Later that night, his condition deteriorated. He was still bleeding and his hemoglobin had dropped. 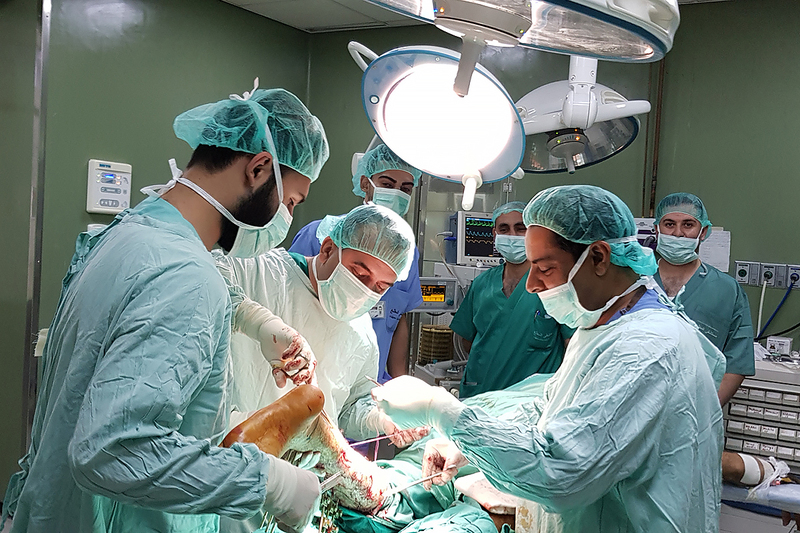 He was resuscitated with a blood transfusion, taken into the operation room and a femoral bypass and a flap was done by the vascular surgeon on our team. The next morning, he was smiling and ushering us to give him fluids to drink. We connected. Perhaps for this one young man, I thought, our presence has made a difference. 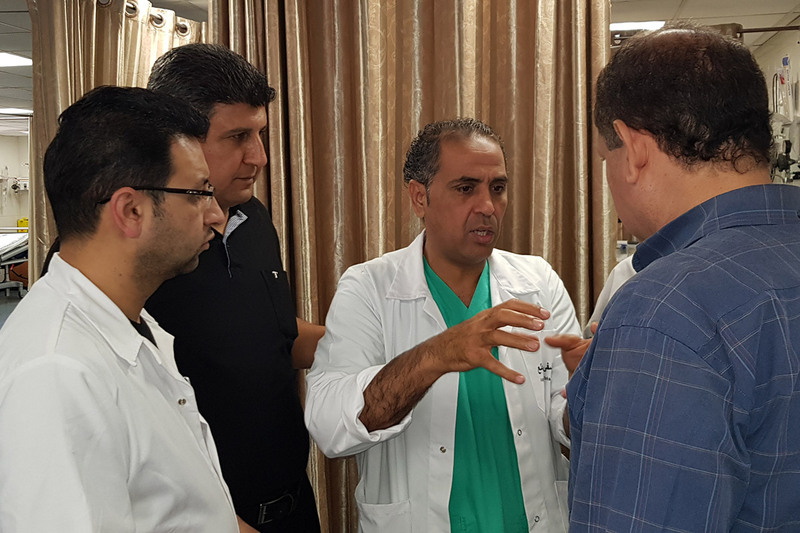 His family expressed thanks and gratitude to the surgeon. “Are you related to this young man?” I asked the man visiting Z on our last day, as I was waiting for our team to see him one more time. “I am,” he said, “I am a doctor." “He is my adopted son. We came rushing through the night when they told us that his situation had deteriorated,” he said. Thoughts flooded in to me wondering what the life of Z was actually like. It was too much to bear. Tears welled up in my eyes. He apologized and I apologized in return. We left Monday, 21 May feeling hopeful, bidding him and his family farewell. Surely, he would be moved to Jordan with the medical mission for further care. We left hoping we had made a difference. A few days later I called Z’s father and he informed me that he was not taken among the injured to Jordan. Why? There was no reason. We hoped he could be referred to Jerusalem because the risk of infection was high. His father was hopeful and said he would try. It was midday. I was getting ready to leave home for lunch with my family to celebrate my niece’s graduation. The phone rang. It was Z’s father and his voice did not sound good. Z had developed an infection and his wound had bled. They had taken him back to surgery and occluded the artery. His leg had no more blood supply and was turning gangrenous. They could not get him to Jerusalem because he was not allowed; for security reasons, they said. I felt helpless. I called my colleague, the vascular surgeon who had saved his leg. He was devastated. What could we do? We called the directors of the Jerusalem hospitals. They tried to advocate for him to be permitted to leave Gaza for treatment. They provided all the necessary details. His father called again to see if there had been any luck, but no luck. They were waiting for him to go into surgery. We were hopeful we could still make a difference, but we could not. His leg had to be amputated and the answer was "no," he was not allowed into Jerusalem. Back in Gaza, we visited Z. He was smiling as usual. “How are you?” he asked. “Good, thank you,” I replied. “I wanted to come to you but they would not let me,” he said. There he was in bed with an above the knee amputation, looking pale, yet smiling and thanking us for all that we had done. I promised we would keep trying. I had hoped we could make a difference. At least for Z, I had hoped we could make a difference. LWF expresses dismay, on statement, over the escalating violence and disproportionate use of force against demonstrators at the Gaza border which has led to the death of 41 people and more than 1700 people wounded. 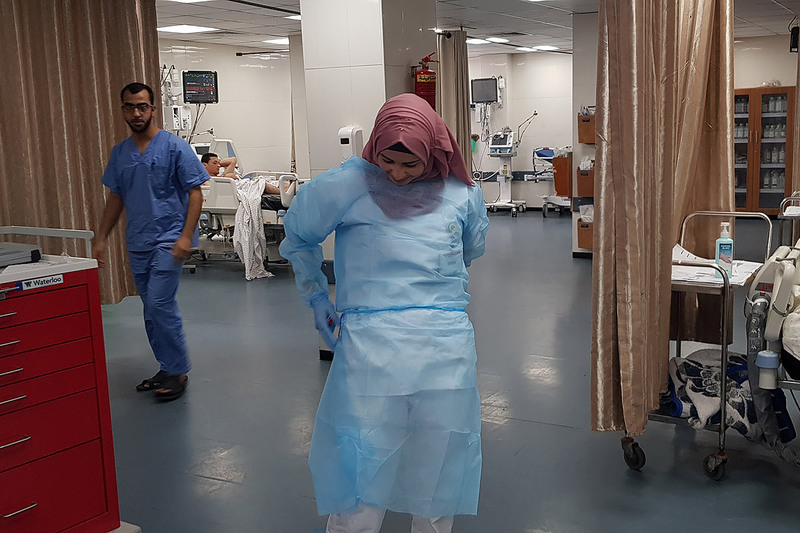 Dina Nasser is a health advisor at The Lutheran World Federation’s (LWF) Augusta Victoria Hospital (AVH), where she leads AVH missions to Gaza. She is also the coordinator of the American Heart Association training center at Juzoor for Health and Social Development. These are personal reflections of what she saw in Gaza. 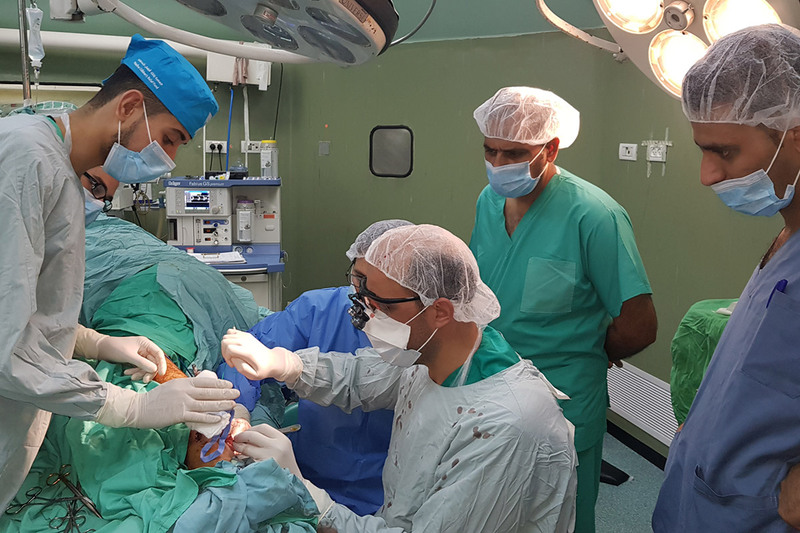 From 30 March to end of May this year, border protests in Gaza turned violent, causing severe injuries among thousands. 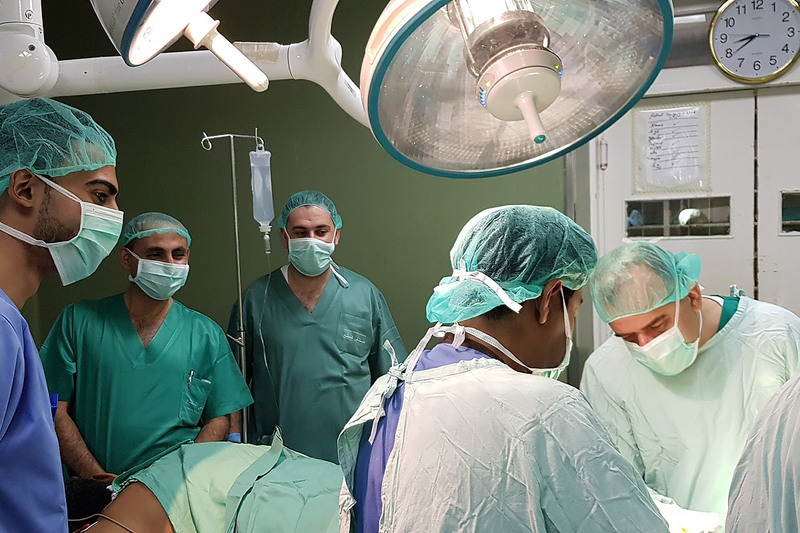 Responding to a call from the World Health Organization (WHO) and the International Committee for the Red Cross (ICRC) to assist in the healthcare crisis in Gaza, a team of doctors and nurses from the Lutheran World Federation’s Augusta Victoria Hospital (AVH), supported medical teams in Gaza, tending to Palestinians. 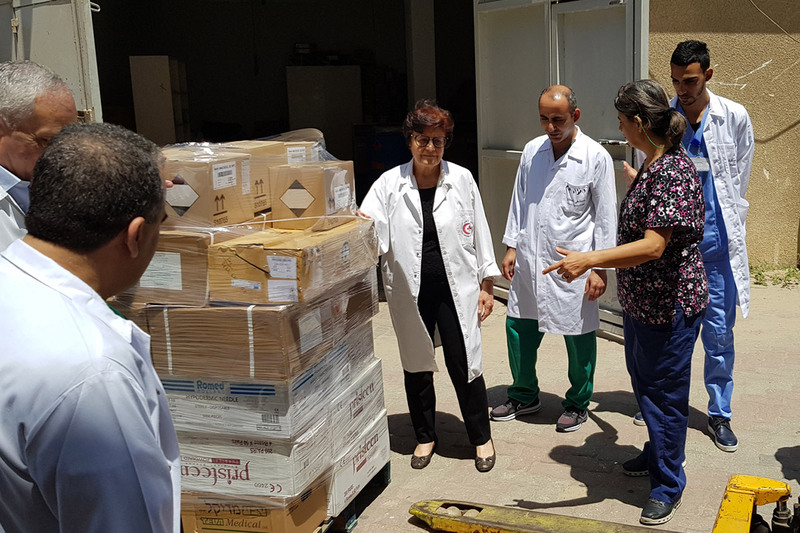 In addition to the team of specialists, LWF also sent supplies of medicine and medical goods worth 25,000 Euro to Gaza.